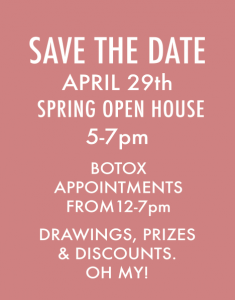 Our amazingly successful Spring Open House is scheduled this year for April 29th! 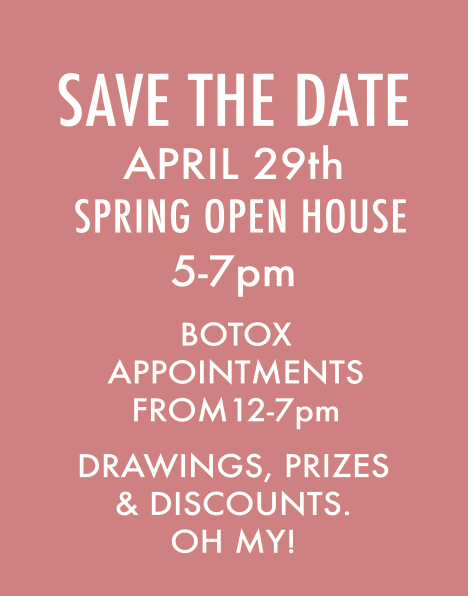 So mark your calendar for April 29th from 5-7 pm. We will also be doing Botox all day from 12-7. Watch our social media pages for all the great giveaways and discounts we will be offering that evening. Bring your bestie and come enjoy yourselves!